This post is supplementary to Jeff’s article on the Heuer / Viceroy Autavia promotion, which has been published on the Hodinkee website. In this post, I use dates and figures from Jeff’s article and attempt to reference those against serial numbers to provide further context. The First Three Batches of Reference 1163 Autavia Cases. There are three clear batches of automatic Autavias before we routinely start seeing the characteristics of the watches sold through the Viceroy promotion. At launch in 1969, ranges are clearly defined for the three launch models (Autavia, Carrera and Monaco). It is worth noting that the allocated ranges also allow for numbers of manual watches in each of the ranges too (2446s in the case of the Autavia, 73353/73453/73653 Carreras and the 73633 Monacos). The Autavias range from 141xxx through 143xxx, Chronomatic dials only appearing in the 141xxx part of that range. White dials with black registers (aka “Sifferts”) dominate the Chronomatic dials but the mix between these and black dialled MHs tends to even out as serials get deeper into the range, with dials now marked “Automatic Chronograph”. The second batch of 1163 cases runs from 202xxx through 205xxx. There is relatively little corroborating date evidence for this range but as we do have such evidence for the previous and subsequent batches, it appears likely that this run dates from some point in 1970. The 205xxx block is occupied by 1163 GMTs. At this point, sales figures are in for over a year’s sales and Heuer are probably in a better position to forecast demand for each individual model. There are roughly the same amount of serials between the next two batches of Autavias, so demand appears fairly consistent at this point in time. A business case report shows a fall in sales for 1971 compared to 1970 but Autavias seem still to be selling well enough for batches to contain approximately 3000 cases. The Fourth Batch of Reference 1163 Autavia Cases (including the First Viceroys). As was the fourth batch, from 241xxx through 243xxx. Dating evidence for watches in this batch (ranging from completed warranty cards to the date marks on Gay Freres bracelets) put this batch in the second half of 1971, again before the deal with Viceroy was sealed. In fact, that promotion wasn’t unveiled until May 1972 and as late as January that year, Viceroy was still expecting their partner for the promotion to be Hamilton, not Heuer. You can read more information on those circumstances in Jeff’s article on the promotion. However, the watches weren’t all immediately assembled as soon as the cases were received and it’s probable some of the cases within this late 1971 batch were re-purposed to make Viceroy model watches rather than the T or MH models originally intended. The Fifth Batch of Reference 1163 Autavia Cases — Primarily Viceroys. The fifth batch of Reference 1163 Autavia cases, though, breaks that gap of around 17,000 serials between Autavia batches and shows Heuer anticipating having to supply a significant number of Autavias relatively quickly. It’s rare for Heuer to return to a model again so quickly in a run of serials and the reason can only be the launch of the promotion and the resulting expected surge in sales. In fact, the planned deal with Hamilton forecast selling an average of 3,000 watches per month at the peak of the promotion. That would be beyond Heuer’s capacity, unless they also abandoned the stopwatch/timer manufacture that formed the majority of the business and probably not even then. However, it would give them much greater exposure in the US market at an advertising budget beyond their usual means. So this fifth batch, from 246xxx to 247xxx would look to have been intended largely to meet demand from the Viceroy promotion. 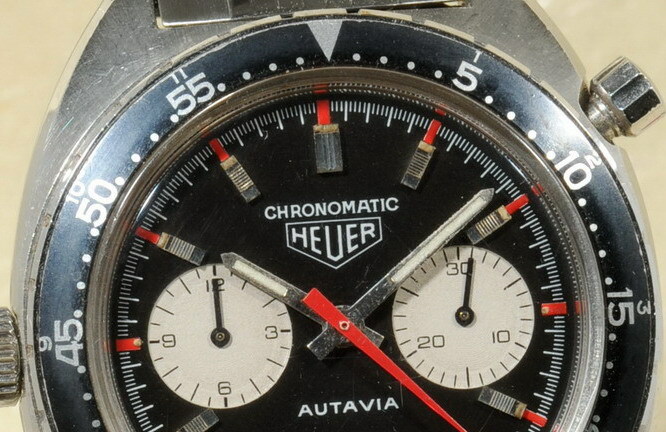 However, it wasn’t exclusively for that, as we see Sifferts within this range too and indeed, given the promotion was within the US, Heuer still needed Autavias to sell in the rest of the world. It’s difficult after 40 years to provide accurate figures but the majority of these 2,000 watches probably went to fulfill Viceroy orders. Heuer had a number of introductions in this period (calibre 15 movement, Montreal etc), which may have had an impact on the numbers of the established sellers but from the larger than normal gap between Carrera 1153 numbers, it seems that the increase in Autavias numbers was also affecting their ability to produce that other big seller in the range. For the duration of the Viceroy promotion, Autavia production appears to have been above that of the Carrera and sometimes significantly so. Nonetheless, there was the demand from the rest of the world to meet and distributors to please, so Heuer were never able to entirely concentrate on production of the Viceroy. Nor, in fact, would they have to. Jeff has uncovered the total number of Viceroys sold during the first four months of the promotion as a disappointing (at least to Brown & Williamson, the owners of the Viceroy brand) 3,541. The exposure and free advertising for Heuer, on the other hand, was well worth it. The promotion continued until the end of calendar year 1972, with some orders of course being fulfilled into 1973. Jeff’s article has an estimated total of 5,000 watches in total, and this seems a fair extrapolation from the solid figure we have from B&W. The Sixth Batch. But the two batches we have identified so far (Fourth and Fifth, above) can’t account for all of these 5,000 watches. So we need to look for a third batch of Autavias in the time frame involved. And it doesn’t take long to find the likely candidate. Late 266xxx through 276xxx appears to be comprised entirely of Autavias, making it a very large batch in Heuer terms. The end of the batch is fairly clearly well into 1973, but earlier watches are a fit for the tail end of 1972 and fulfilling the remaining orders from the Viceroy promotion. It’s likely also that some watches in this batch went towards reducing or eliminating backlogs in other markets that had been relatively starved of Autavias whilst the US promotion was running. 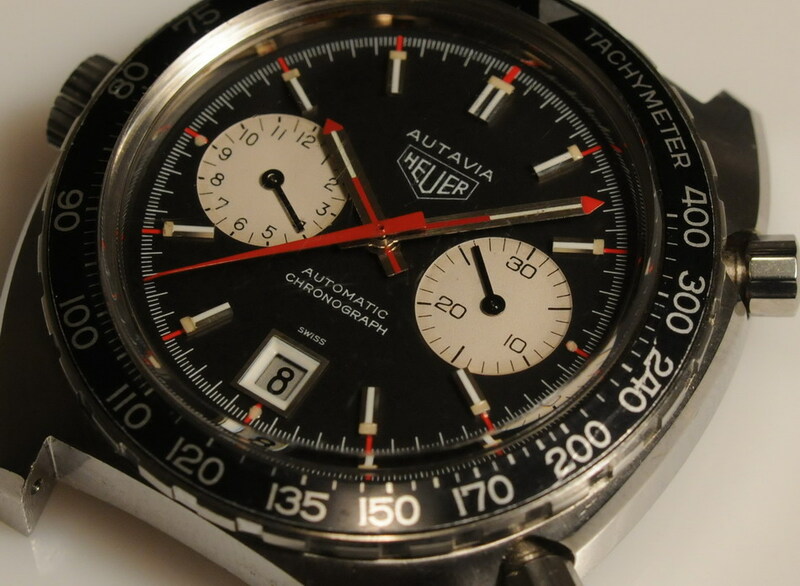 It’s interesting to note that Heuer had also introduced the 11630 Autavia in 1972, with serials starting 259xxx. The 11630 didn’t replace the 1163 though, much as the third generation “barrel” Carrera didn’t replace the second generation. Whilst a Dutch price list from 1974 shows 1163s at a discounted price “whilst stocks last”, batches continued to be made as late as 359xxx, equating to somewhere around 1976/7. In Jeff’s article, Hans Schräg recalls that some of these early 11630s were fitted with plexiglas instead of the usual mineral glass to differentiate from the full-price retail models and used to fulfil some of the outstanding Viceroy orders. It’s not immediately clear why this occurred, as the relative figures appear to show that Heuer was sitting on a surplus of 1163 cases but it may have simply been down to short term supply and what was immediately available. The serial numbers for these watches will be in the range 259xxx to early 262xxx. Both these 11630s and the 11063 introduced circa 1979 sometimes feature cases marked with a V. It has historically been widely accepted by the Heuer collecting community that this stood for “Viceroy” but for the 11063 in particular, the promotion has already been ended by the time the case was introduced. Heuer did continue to use the Viceroy dial and dial furniture, or variations thereof, for these models but whether this was what is signified by the V on the case is research for another time. Please note, batches and all data in the above table are derived from currently known information and may be subject to change in the future. Our serial number data in particular is incomplete and there may be more batches of watches, or identified batches may be interrupted by other models and not therefore form a contiguous batch. Dating evidence is also patchy and sometimes inconsistent so year of manufacture is only stated as probable and should be treated as such. To comment on or discuss any Blog postings, please visit our Discussion Forum.